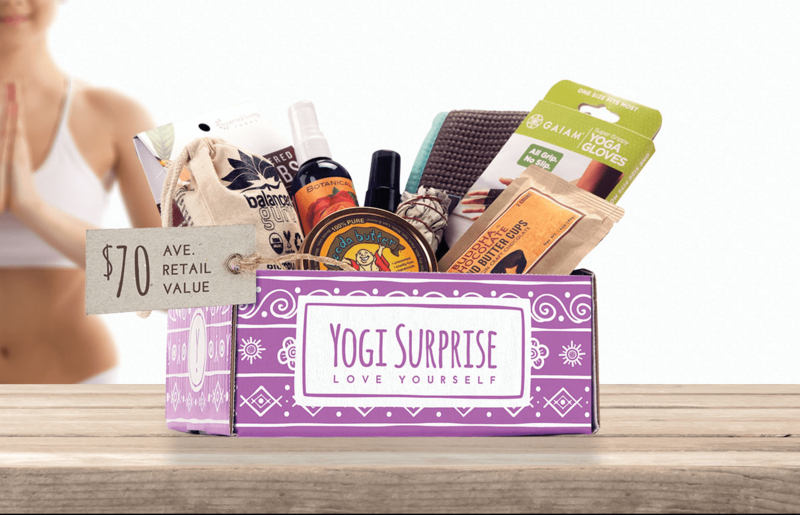 Yogi Surprise sale – get a Mystery Past Box as your first box & just pay $29.99! Yogi Surprise Jewelry box April 2019 spoiler + coupon! 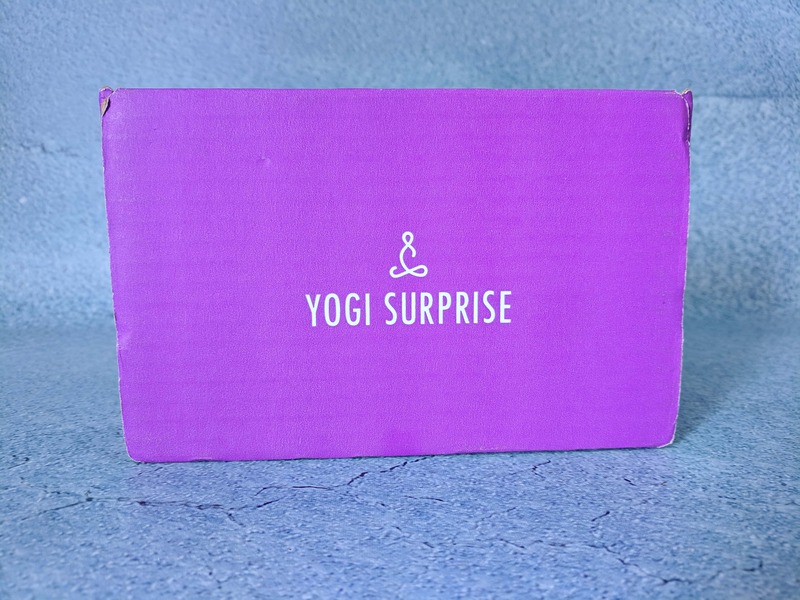 Yogi Surprise Lifestyle box April 2019 first spoilers+ coupon! Yogi Surprise Jewelry Box is a jewelry+treat subscription. Check out the March 2019 review + coupon code! Yogi Surprise Jewelry Box is a jewelry+treat only subscription. Check out the February 2019 review + coupon code! Yogi Surprise Jewelry box February 2019 spoiler + coupon! 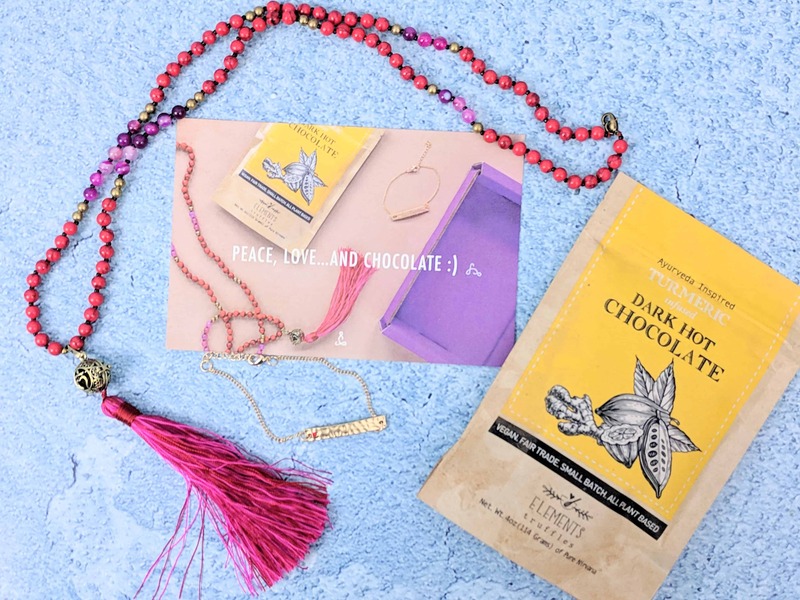 Yogi Surprise Lifestyle box February 2019 first two spoilers+ coupon! Yogi Surprise Jewelry Box is a jewelry+treat only subscription. Check out the January 2019 review + coupon code! The theme is New Beginnings! 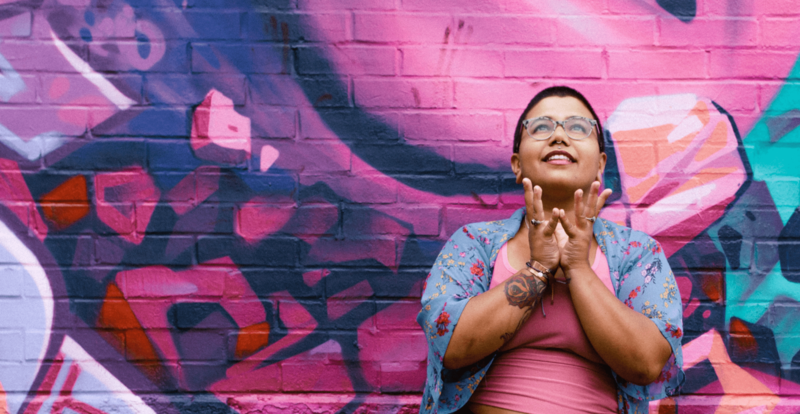 Yogi Surprise December 2018 box is all about the gift of yoga! Check out the review + coupon code! 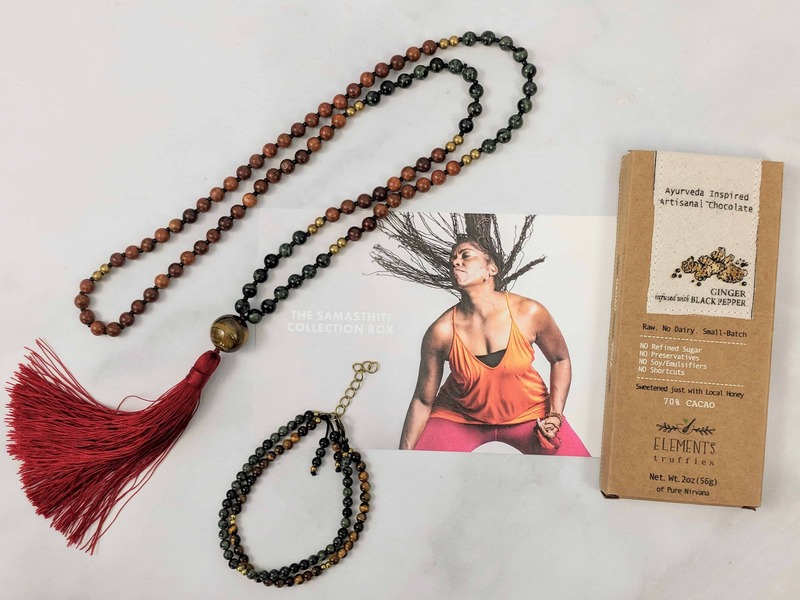 See the Yogi Surprise January 2019 shipping update + coupon! Yogi Surprise Lifestyle box January 2019 spoiler #2 + coupon! Yogi Surprise Jewelry box January 2019 spoiler + coupon! Yogi Surprise Lifestyle box January 2019 spoiler + coupon! 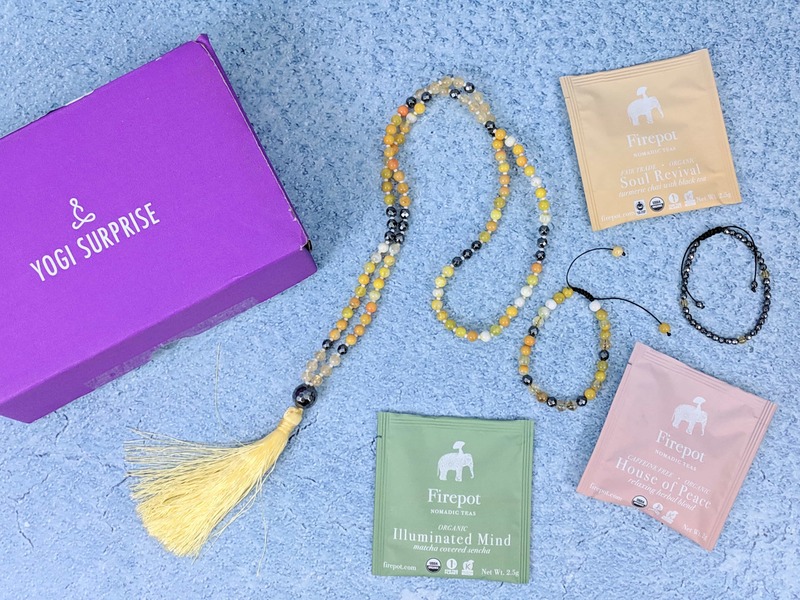 FREE Extra Box with all Yogi Surprise Lifestyle & Jewelry box subscriptions – LAST CHANCE! Yogi Surprise Jewelry Box December 2018 features the Om Collection. See the review of this jewelry+treat only subscription and grab a coupon code! 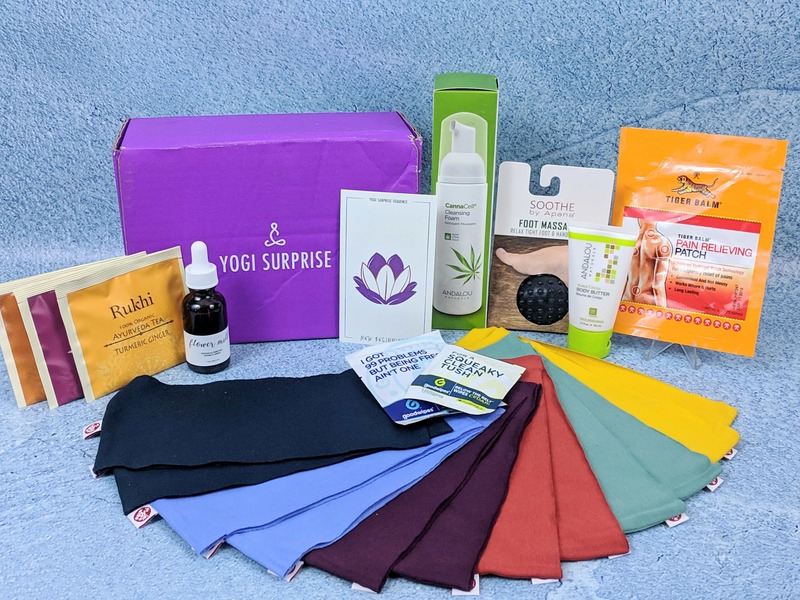 Yogi Surprise Lifestyle box December 2018 spoiler #2 + buy one get one FREE coupon! FREE Extra Box with all Yogi Surprise Lifestyle & Jewelry box subscriptions for Cyber Monday! Yogi Surprise Jewelry Box November 2018 features the Anjali Collection. See the review of this jewelry+treat only subscription and grab a coupon code! Yogi Surprise Jewelry box December 2018 spoiler + Black Friday coupon! 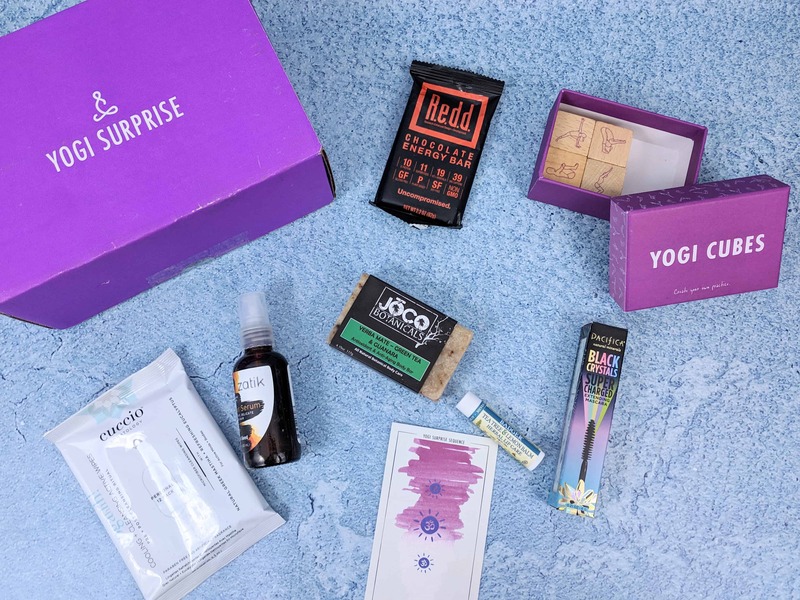 Yogi Surprise Lifestyle box December 2018 spoiler + Black Friday coupon! 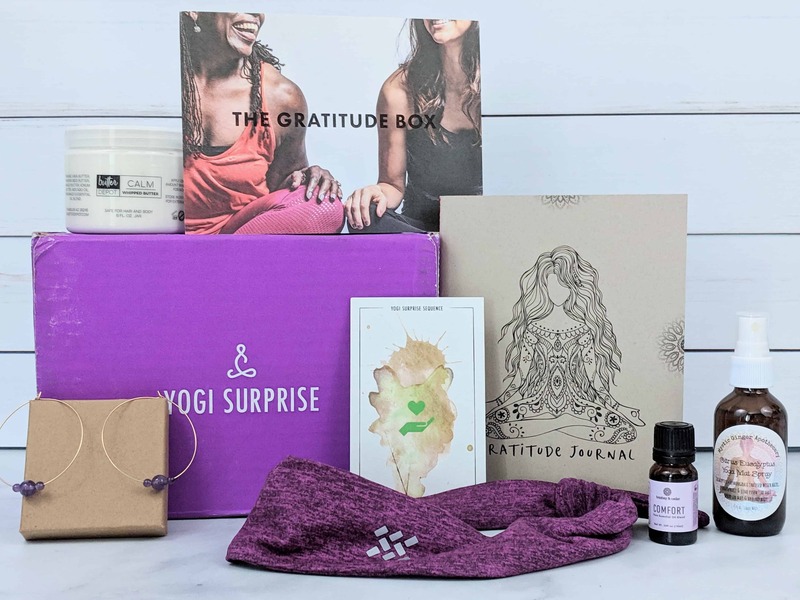 Yogi Surprise November 2018 box is all about gratitude! See the review of this yoga-inspired subscription box + use coupon code! FREE Extra Box with all Yogi Surprise Subscriptions! Yogi Surprise Black Friday 2018 Coupon for Lifestyle & Jewelry box subscriptions. LAST FEW DAYS to get 15% off + FREE Rising Tide Drape Scarf with your first Yogi Surprise box! Yogi Surprise is a yoga-inspired subscription box. Read the October 2018 review + use coupon code! The theme was The (Well Deserved) After Practice Box! Get 15% off + FREE Rising Tide Drape Scarf with your first Yogi Surprise box! Yogi Surprise Jewelry Box is a jewelry+treat only subscription. Here’s the September 2018 review + coupon code! Yogi Surprise Jewelry box November 2018 spoiler + coupon! 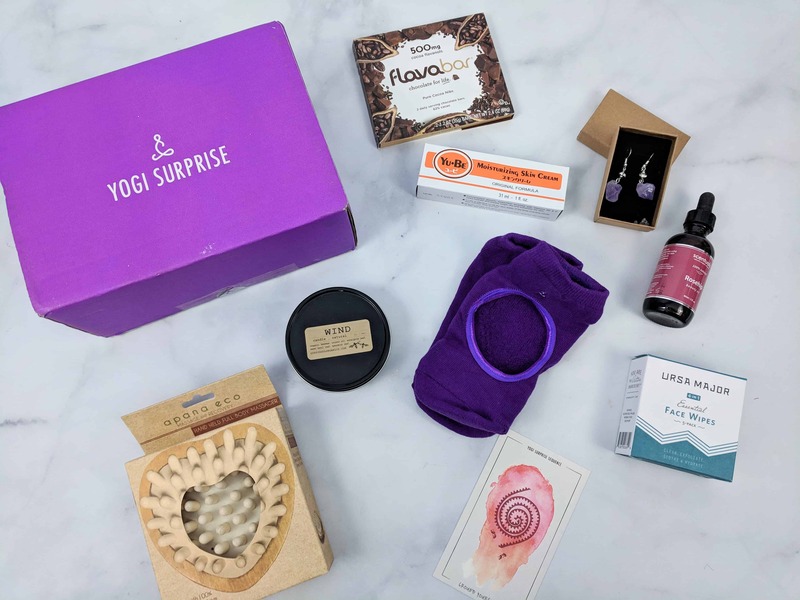 Yogi Surprise Lifestyle box November 2018 spoiler + coupon! Yogi Surprise Lifestyle box October 2018 full spoilers + coupon! Yogi Surprise Jewelry box October 2018 full spoilers + coupon!